My son GZ loves Star Wars! 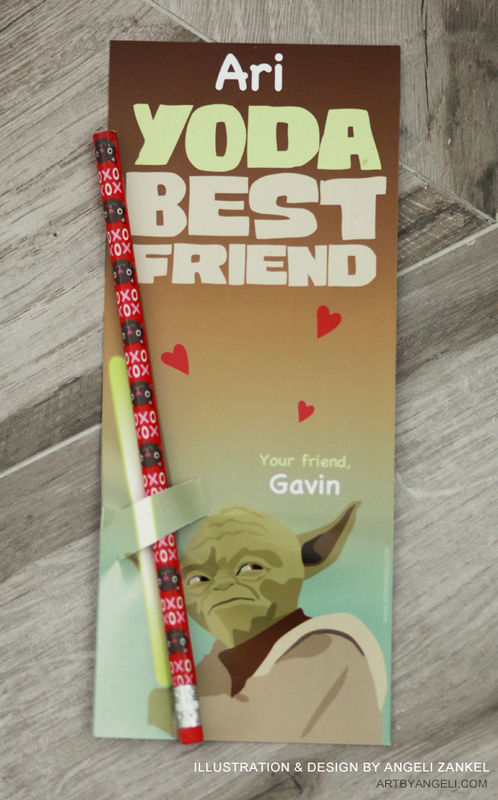 I decided to design valentines cards for his friends. His teacher only specified that all Valentine's Day cards, gifts do not include candy. I know! What's the point?! 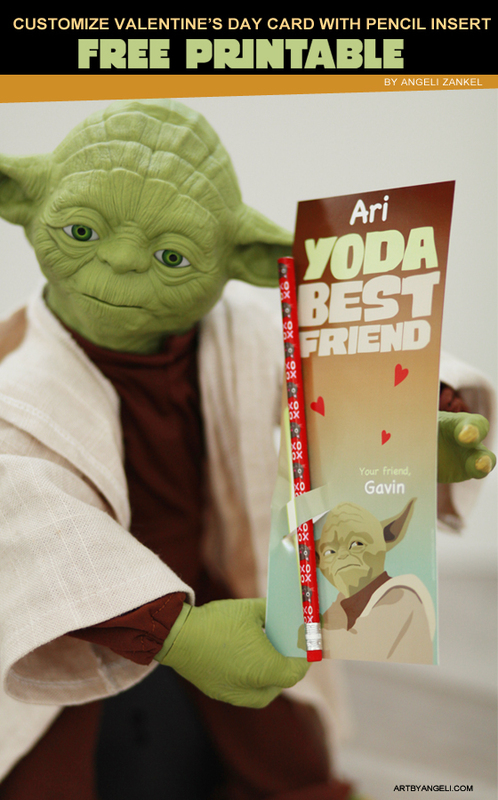 Anyway, I designed these super cool Yoda pencil cards. They are FREE for any of my followers. Send me a private message through Facebook and please make sure that you have "liked" my ARTBYANGELI page. This FREE printable set is available for download. All you have to do is become a FOLLOWER of this blog by clicking the "join this site" button under "Followers" or you can like me on Faceboook by clicking the "LIKE" button. Leave your email on my Facebook artbyangeli inbox. When you download this template you agree that it will not be use for commercial use. By clicking the Download image below, you agree to the license terms for www.artbyangeli.com. Please review the terms located at the bottom end of my blog Thank you!